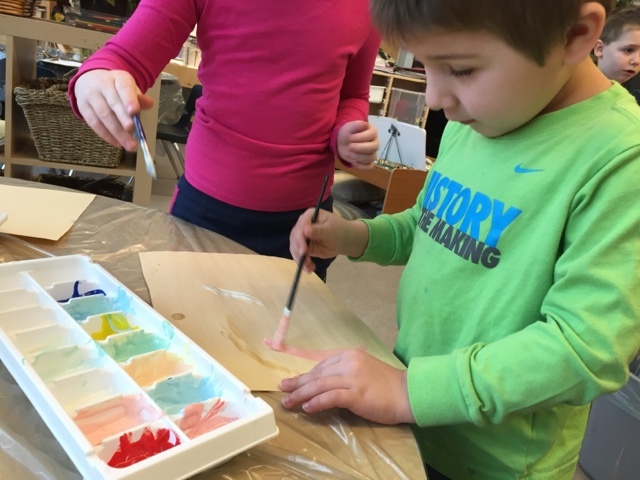 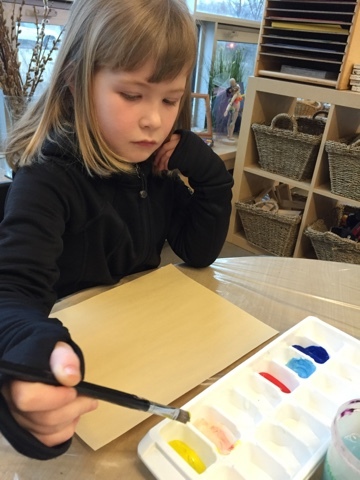 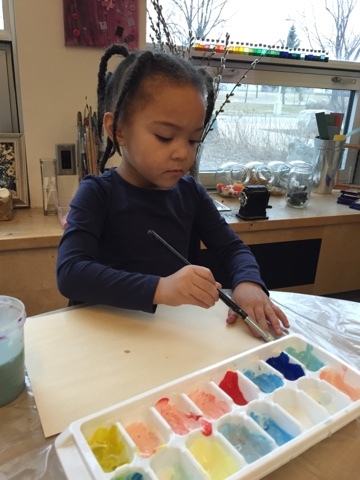 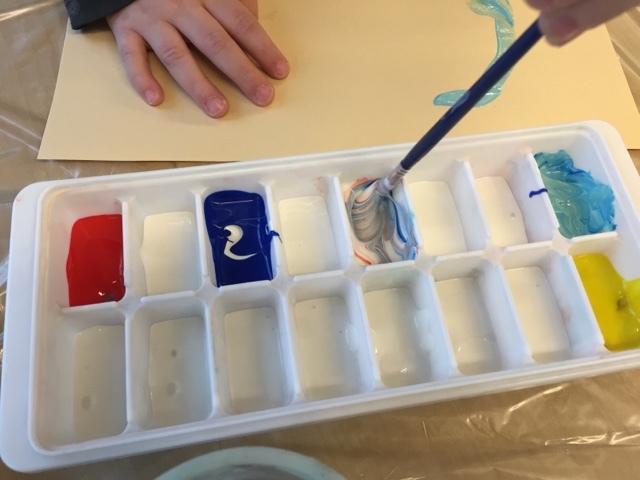 At the art center we offered the children trays of white paint with red, yellow and blue. 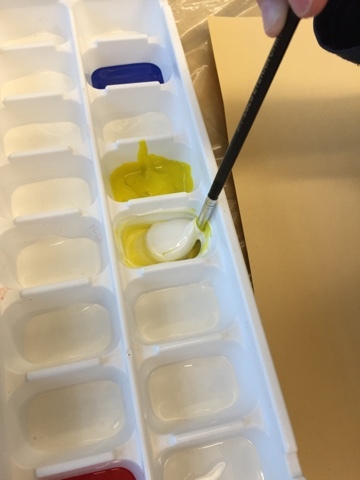 Water was used to clean the brushes in between use. 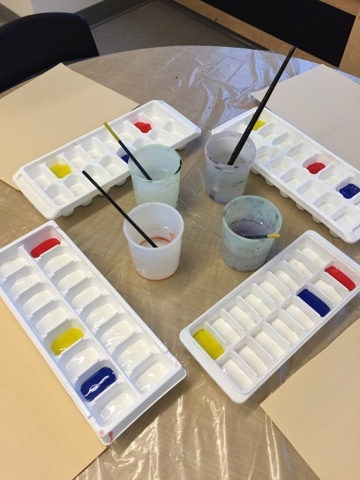 We encouraged children to experiment with combining various colours of paint in order to make their own unique shades. 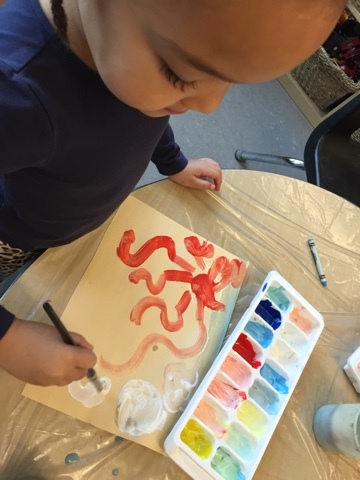 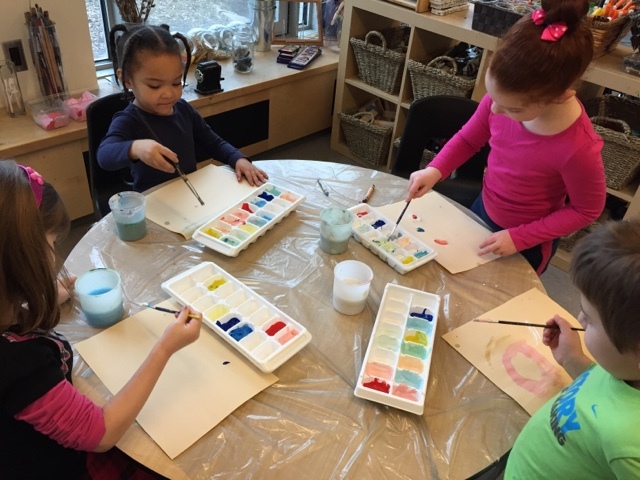 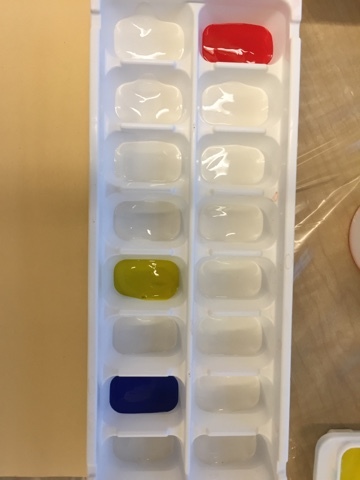 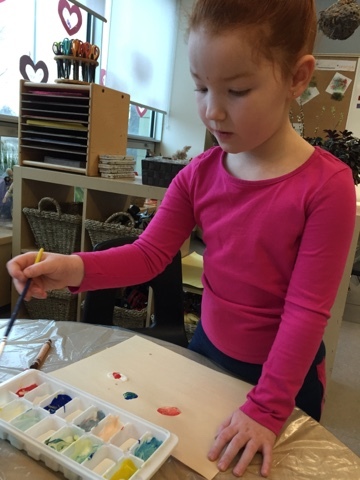 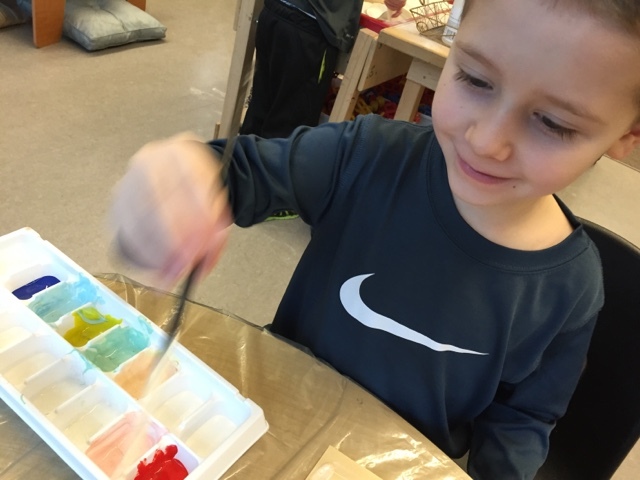 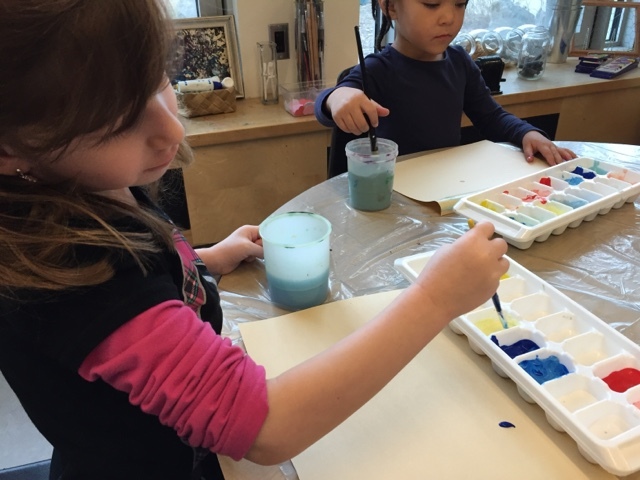 It was interesting to hear the math talk that emerged in this activity as the children discussed the quantity of paint and how much of and how many colours were used in the experimentation.